She's full of angst, who wears baggy clothes and despised high heels and dresses. She's the kind of girl who never takes bullshits from anyone and ignore who tried to talk ill about her attitude and appearance. But what if one day, her no-care attitude suddenly changed and fell for the guy who constantly bugs her everyday? Will she be able to accept it and embrace the change or will she try to maintain the image she's used to portray and  set aside her feeling until it diminish? FORMERLY "THE FIVE BAD BOYS AND I"
Paano haharapin ni Aria ang limang ito sa pagpasok nya sa Sullivan Brook High? My stories contain GRAMMATICAL and TYPOGRAPHICAL ERRORS. You may leave now, perfect human. Formerly Twisted Happiness (Season 2). 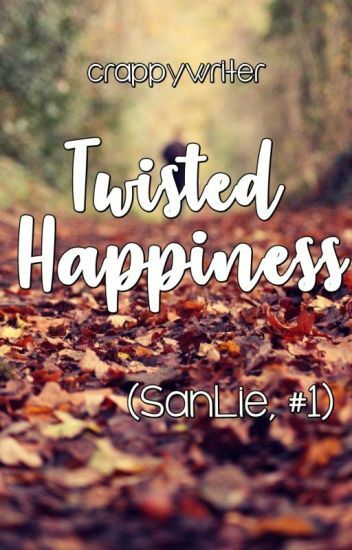 Book 2 of the #SanLie Trilogy. #THS2. "Falling in love is easy. Staying in love is a challenge. Letting go is hard, and moving on is suicide." How can you stay in love when everything seems to fall apart? My Silent Tears (✔) | Editing..
Should I take the risks?Should  I accept his cruelty just because Im so damn in love with him,and I just wanted to have a family? Nabago ang buhay ni Nina Ricamonte nang di nya inasahang nabuntis sya ng kanyang long-time crush na si Christian Cruz na noo'y nag papatakbo sa isa sa mga matagumpay na kompanya sa bansa. Akala niya'y isa itong malaking katuparan sa mga pangarap nya,ANG MAHALIN NG TAONG MAHAL N'YA AT MAGKAROON NG ISANG MASAYANG PAMILYA. Dahil ang taong matagal n'ya nang pangarap ay sya palang maghahatid sa kanya sa isang bangungot. KUNG MAY TIME PO AKO,SUSUBUKAN KONG I-EDIT,EH SINCE MAY PASOK NA HINDI KO ALAM KUNG KAILAN.. OKAY LANG NAMANG BASAHIN(AT THANKFUL PO AKO DOON),PERO SANA INTINDIHIN..BE OPEN MINDED,TAO LANG AKO (NA SOBRANG GAGA )AT NAGKAKAMALI. Twinnie Manalastas has ahuge crush on Travis Mallari. She will do everything for her to notice by Travis. And unfortunately, Travis got notice her pressence. But what if someone ruin their love story and she will bid her Beautiful Goodbye to Travis? She got hurt really bad. And then after three years their paths lead the way again? Is there a second chance for their love story? Book 3 of the #SanLie Trilogy. #THS3. "Distance can be a good or bad thing. It can ruin a relationship or it can help you grow and mature to be a better person. In my case, I used the distance to help me grow and mature for me to be able to love him better when I see him again." You cannot be happy if you cannot accept reality that pain and problems are part of us, part of who we are and part of what we become. Paano mo maibabalik sa dating siya ang taong minsan mo nang iniwan? Lalo na ngayon estranghero lang ang turing nito sayo ?